We only have the vaguest schedule, essentially following the seasons, i.e., winter across the South, spring up the West Coast, summer across the North, fall down the East Coast, but even with such flexibility it feels like we are behind the non-existent schedule due to the multiple weeks we spent at mechanics in April and May. Such feelings propelled us violently forward as soon as we could escape from Coach Maintenance Company. We headed west on CA State Route 20 all the way to the coast towards one of the significant items on Rosemarie’s list of must see list: Glass Beach. This is not a figurative name based on some vague descriptive resemblance to glass if you squint at it just right. 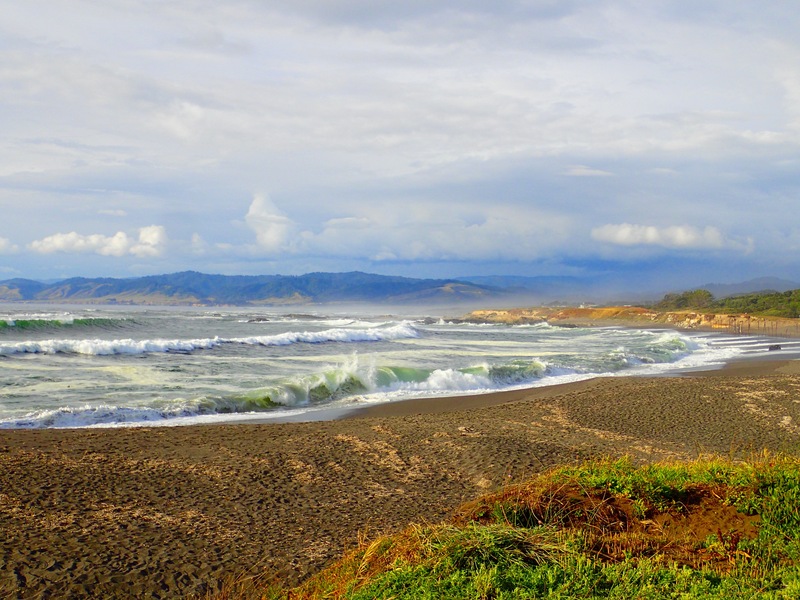 It is, rather, a literal description of the beach: Composed almost entirely of beach glass from over a century’s worth of trash, including a significant percentage of glass, dumped in three designated areas near Fort Bragg. From the cliff some 30 feet above the water it looks like any other pebble dominated beach, so much so that I warned Rose to be realistic in her expectations as we descended the stairs: it surely would not live up to the online pictures. As we reached the beach proper, I stood corrected. It is everything the pictures suggested. A small cove completely covered in beach glass, mainly white and brown and green of various hues. The official glass beach has a set of stairs leading down to it, the other unofficial sites do not, and from the top of the cliffs it is not immediately apparent if they are accessible. This is the reason that these other sites are far better beach glass collection areas with larger, more diverse, and older selections. While biking south from Glass Beach we observed a couple of people in one of these alternative coves, even watching the route that one pair took down to the water’s edge. We followed, and having already been astounded by Glass Beach, were doubly astounded by how much better this less accessible area was. We have a small bag of white, green, blue and milk glass to prove it. Cold but tolerable tidal pool. For our two day stay we chose MacKerricher State Park. I am of two minds on this place: It was almost unimaginably beautiful with the rugged and astounding beach less than a quarter mile from our spot, but it was $35 a night for dry camping, which seems a bit absurd. At least they had a dump station and bath house, but the showers were coin operated, a buck for five minutes! We were second guessing ourselves until we went to the beach the first night and took the bike trail all the way to Glass Beach the second day. 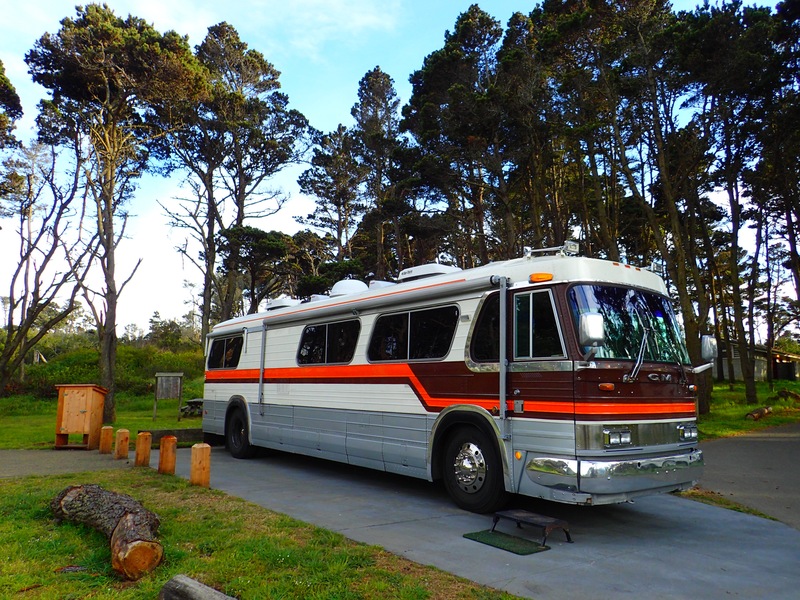 There are a couple of nearby private park options with partial or full hookups available at a price competitive with or better than MacKerricher, but after exploring the area we sensed that none of them have the ease of access to the coast and Glass Beach. 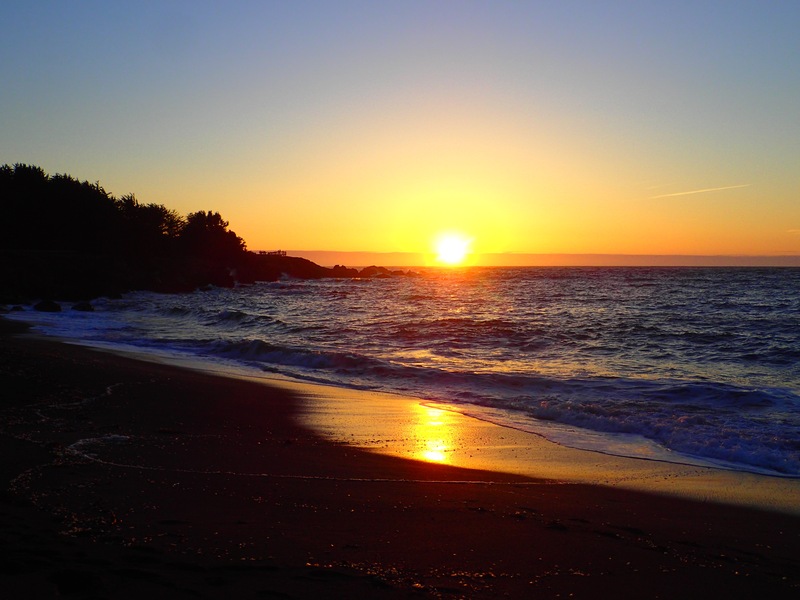 The sunsets from the beach were fantastic, the coastal trail near our site led all the way to Glass Beach, the sites themselves were large and ours was quite level, though we spotted several others that would be a challenge to even out. All told a fantastic two day stay. If we come through again we might consider Camp Cleone or another park, but no real regrets about our stay. Totally gorgeous! You are really seeing the beauty of the country. What a lovely journey!! !